Most musicians make albums in hopes of selling them. Not the Lumina vocal quartet. 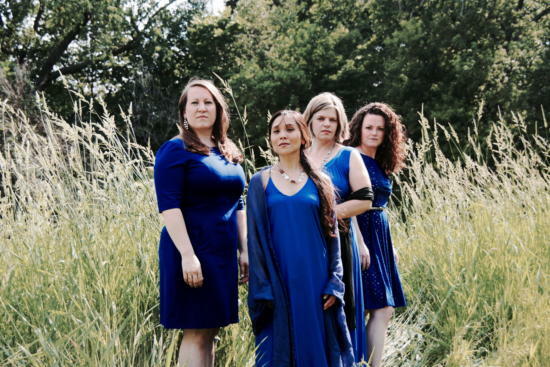 Four years after forming in Minneapolis, the ensemble will soon make its debut recording. And it's planning to give it away to people in hospice care and their families. According to mezzo-soprano and Lumina member Clara Osowski, the demand for an album initially came from audiences at the group’s increasingly popular Twin Cities recitals. But the idea of donating their recording to a good cause? That came from Lumina itself. “We really strive for the beauty that’s inherent in music, and the hope that it brings people,” Osowski said. “Light in the Darkness” is the name of Lumina’s forthcoming album. Lumina’s concert repertoire ranges all the way from medieval chant to new music. Although the running order for the album hasn't been finalized, Osowski promised old and new music, with a mix of “soothing” sounds and livelier folk material. For more information about Lumina's “Light in the Darkness” project, visit the group's Indiegogo page.